Shalom, chaverim! Things are rocking and rolling here in lovely little Nahariya, with last week's excitement being all about the national elections. It was with a quiet feeling of pride and communal participation that Elul and I went to our local polling station and cast our votes for the first time. 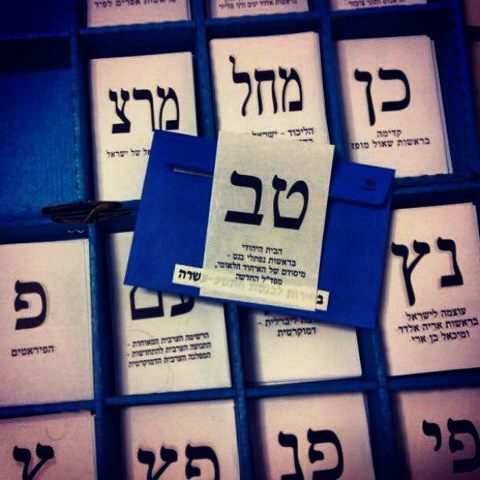 Voting in Israel is actually a fairly straightforward procedure. First, you get a card in the mail with your personal details and the address of your polling station. Then, on election day, you show up. (This is easy to do, since Election Day is a national holiday and nearly everyone has the day off.) You show the polling place worker your card and your national identity card (aka a "teudat zehut"), and when it's your turn, you are given an envelope and you go to your "voting booth." In Israel, your booth is basically a cardboard screen on a table. A soldier casts his vote in his "voting booth." Inside the "booth" is a cardboard tray filled with little pieces of paper. Each party has been given its own set of initials which identify it. All you do is grab the slip of paper that has the initials of the party you want to vote for, then put it in the envelope and seal it. Then you come out, put the envelope into a locked ballot box, and leave. Sample of party identification slip and ballot envelope. With this system, there is absolutely no chance of the "hanging chad" fiasco of American elections gone by. There is an elegant, low-tech simplicity to this process of voting. Aside from lots of trees being murdered for the sake of democracy, it seems like a method that is low-cost, easily understood, and very easy to administer. The next day, there was great excitement all over the nation about the election results. The party of current Prime Ministery Benjamin Netanyahu, Likud, did not do as well as expected. Instead, a new party called "Yesh Atid" ("There is a Future") did quite well. This center-left party is run by a respected television news journalist and national columnist called Yair Lapid, and because of this strong showing got lots of seats in parliament. Now it's Netanyahu's job to form a coalition with different parties, including Yesh Atid, which should result in the country's moving away from the disproportionate dominance of the extremely religious parties. If you're interested in a reasonably concise explanation of Israel's current political parties, you can visit this article here. Note that this article was written before the elections, so some of the predictions were quite off. And, as the author notes, Israeli political parties seem to change as quickly as the weather. The results of this electoral shift may have a real impact on the lives of millions here, and Israel's national economy. Since in the past, extremely religious Israelis called "haredim" have been exempted from military service and have received disproportionately large amounts of government assistance, the Yesh Atid party calls for an end to this preferential treatment. This is not the only problem facing Israel's economy, of course. But in short, the country cannot continue on its path of squeezing the working, tax-paying middle class into oblivion. Now that we have real "skin in the game" when it comes to matters of taxation and trying to make it economically in Israel, the political landscape has become less background noise. 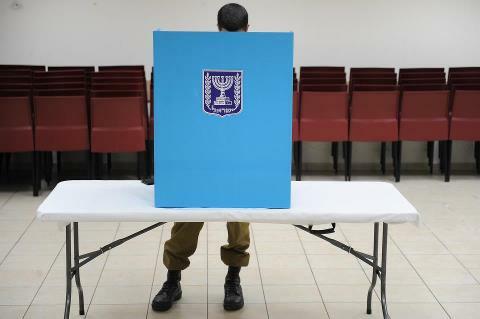 In a small country like Israel, politics and democracy have real relevance to one's life. Remember, the entire country could fit into the state of Vermont, so we have to be very careful about how we conduct ourselves collectively. One of the reasons Elul and I wanted to make Aliyah was so we could have a real say in what goes on in Israel, and we wanted to earn the right to have that say. Our voices may be small and insignificant, but they are still being heard. Yet again, we're very glad we made Aliyah. Shabbat shalom and shavua tov, everyone! Shalom, chaverim! It's lovely to be back, hacking away at the old blogface, so to speak, after a week "off." It wasn't really a week off, but just a matter of poor time management on my part. Last weekend Elul and I went off to our second annual Go North Shabbaton on Friday afternoon, and instead of rising early, I slept in and spent the morning packing and preparing, rather than posting here. A Shabbaton, for those unfamiliar with the term, is a kind of Jewish weekend retreat that is filled with study, prayer and fellowship. It was beautifully organized by the great people of Nefesh B'Nefesh's Go North Program, of which we are a part. This year, it was held in a fascinating Druze village called Peki'in, which is about 15 miles east-ish of Nahariya. Unfortunately, by the time we arrived at the beautiful youth hostel where it was held, I only got a few shots of the village from our window before sundown. Since it was a religious retreat, it wasn't appropriate to take photographs on Saturday until Shabbat was over--at sundown! From our room, with a view of picturesque Peki'in. The weather was extremely windy and quite cold, and, being somewhat exhausted after a trying week, I elected not to go on the walking tour of the village that nearly all the other attendees went on and, of course, raved about. "My wife, the world champion party pooper," Elul referred to me when others wailed in dismay at my admission that I hadn't gone on the tour. Cravenly, I muttered something about planning to return in the summer when conditions were better. This is one way to keep your roof from blowing off on a windy day. Still, the food was absolutely delicious and in great supply, the accommodations were very comfortable, warm and spacious, and the presentations were varied and informative. A lovely time was had a great time resting and visiting with our dear friends, as well as catching up with other people we know but rarely see these days. We will definitely go next year. The previous week had been quite difficult, as I mentioned previously. Elul finally got completely laid off from his job, as his employer downsized the company dramatically. Within one day, however, I got a call for an interview to teach in a Druze school in Yarka (or Yirka, or Yrka, or however you want to spell it). To make a long story short, I showed up for the interview and got hired on the spot. What makes it even nicer is that a good friend of mine also got a job there, so I have someone to collaborate with. This brings my teaching hours up to a total of 14 hours a week, which is considered just over part-time. It's a busy life, as I'm still doing my part-time jobs for two other companies, attend Shaanan College one day a week, tutor two private students, and perform in various singing engagements, but it's exciting and a challenge. And fortunately, just yesterday Elul was interviewed for another part-time job, which we hope he'll get and can pick up the slack from losing his primary source of income. The employment instability we've faced since we've arrived has taken some getting used to, but I know we are not at all alone in this experience, as many other olim seem to be going through the same types of things. Fingers crossed we'll get it to settle down sooner or later. As a very wise woman in my choir recently said to me, "You've got to get up pretty early in the morning if you're ever going to make anything happen for yourself in Israel." She was so right! Shalom, chaverim! There's not much to report here in sunny, sleepy Nahariya right now, despite earlier this week being the start of 2013. Like Yom Kippur, we noticed the Gregorian New Year in Israel more by its absence of activity, rather than the presence of any celebrations. Specifically, I noticed a large number of Russian students absent from my teacher training course on Tuesday, which was New Year's Day. One teacher from the Ukraine sighed soulfully, and explained the half-empty classroom to me. 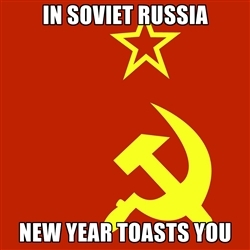 "You see, it is very hard for Russians to give up having a great big party that lasts long into the night on New Year's Eve. They will be back next week," she said confidently. Now that we've been here a year, a few subtle changes are taking place internally, as well as externally. As far as external matters go, we are now eligible to apply for, and receive, full Israeli passports. 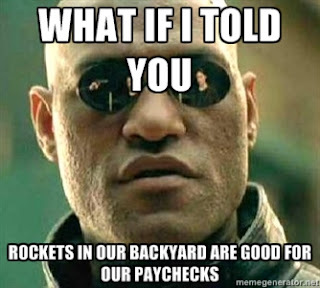 Also, most of our government tax breaks on our paychecks have been eliminated, so we are now doing a much better job of paying our way in the State of Israel, which is the most positive way of talking about taxes that I can muster. However, the fiscal bite is somewhat mitigated because since we've been resident in Nahariya for a full year, we were able to obtain residency certificates that make us eligible for other tax breaks. Nahariya is one of many communities in the North that are seen to be "at-risk" areas, due to its proximity to Lebanon, so in order to encourage people to continue to move here and keep the area populated, the government sweetens the pot a little. A local joke says that when things get a little too quiet around here, our mayor makes a discreet call over the border to ask Nasrallah for a few harmless missiles be lobbed our way, just to keep the government money coming. The homework I'm doing for both the teacher training course, and another online course I'm doing about how to teach writing to EFL students, is beginning to pile up. The good news is, it's piling up mainly because I just got approved to teach another three hours a week at the lovely girls' school where I work. These extra hours will be devoted to working with seventh and eighth grade girls who are quite advanced in their English. My plan is to work with them to write, produce, and act and sing in their own musical, using adapted Broadway show tunes. I was pointedly advised that my school does not emphasize music, so I shouldn't have great expectations about the girls' singing abilities, but I am undeterred. If we need more spoken dialogue than songs, then so be it. 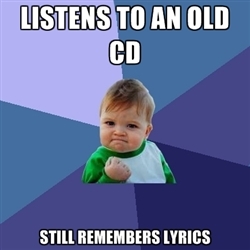 Now I need to go through my own music library and see what songs might work. Or not!